We loved our new porch columns but quickly realized the attached downspouts detracted from the design. 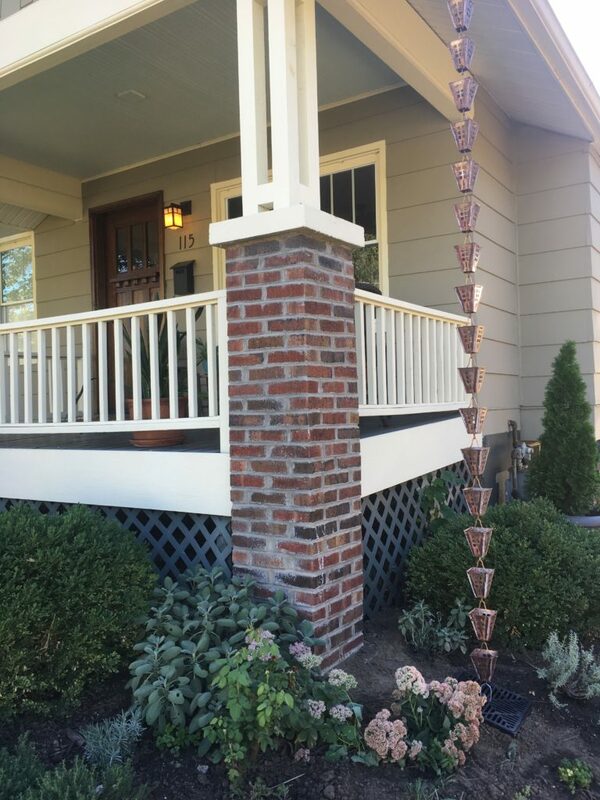 I had thought to paint them the color of the body of our house in the hopes they would disappear but we decided a better approach would be to highlight the downspouts instead with decorative copper rain chains. 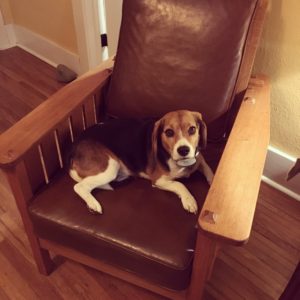 We had installed a simple rain chain when we redid the back patio so we had confidence it was an option that, if done properly, would keep the basement dry. 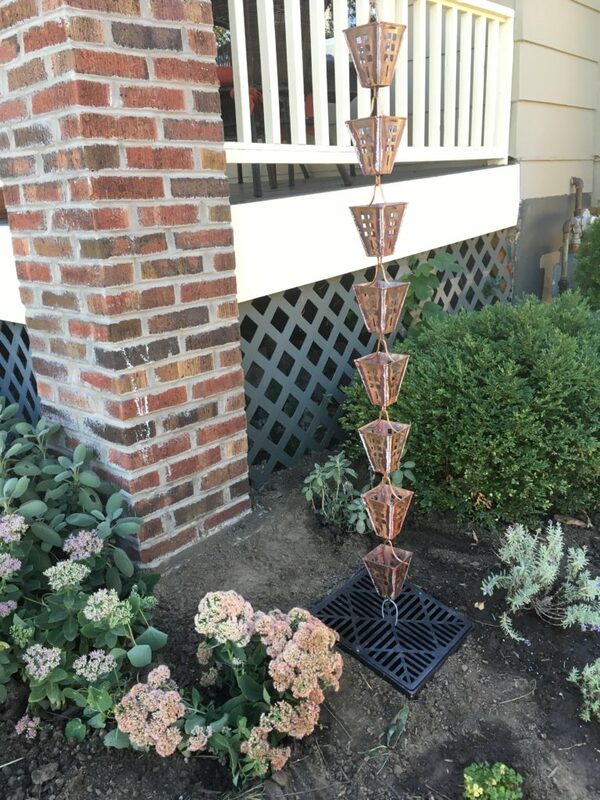 For the front porch, we selected larger cup-style rain chains with an arts and crafts design. They would stand out a bit more than the traditional chain and the copper would add a nice contrast to the house color. The south side of the house was the simplest. We already had a rain barrel installed so it was simply a matter of directing the chain into the barrel. A hose attached to the back of the barrel helps with watering but also serves as an emergency overflow valve. In case of heavy rain we’d open the faucet and the hose would direct the water away from the foundation. A buried plastic drainpipe had never worked well and had prevented me from planting anything in a key part of the flower bed. We removed the drain and added herbs and sedum to provide a more attractive approach to the front stairs. The north side of the house was more difficult. While the south side merely had to control runoff from the porch roof, this side had to handle runoff from the entire north side of the house. 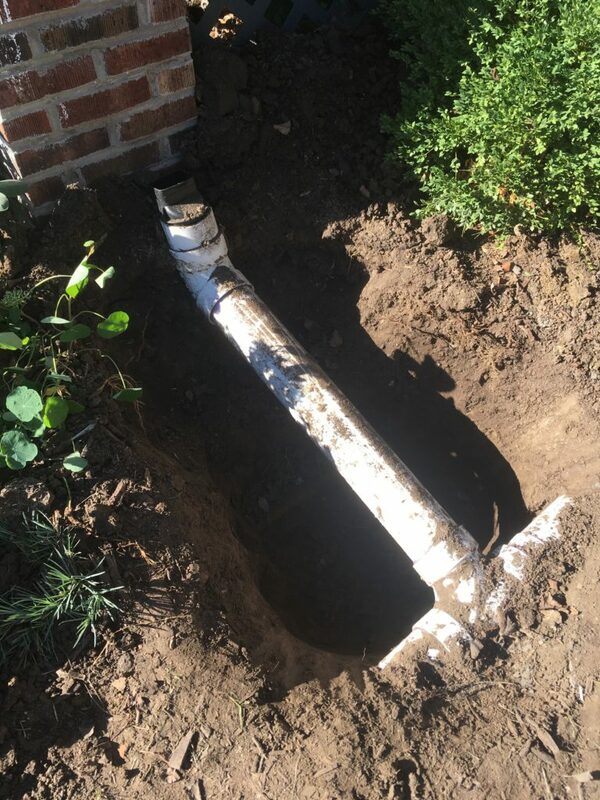 We had already buried a heavy duty pipe and connected the downspout to it so that it would drain into the front lawn. 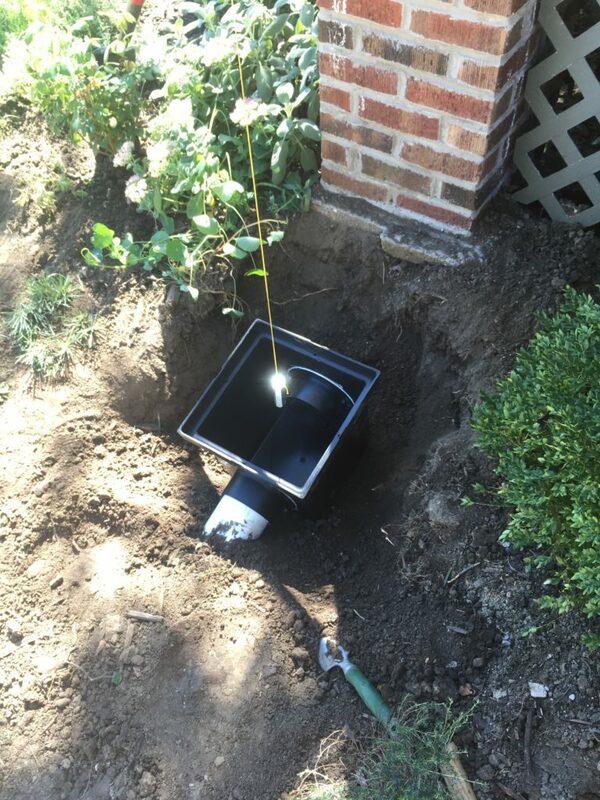 Our plan was to dig it up and attach a 12 inch basin to the pipe to help collect the runoff. And yes, we were aware this would be the third time in as many years that we’d dug up this pipe. 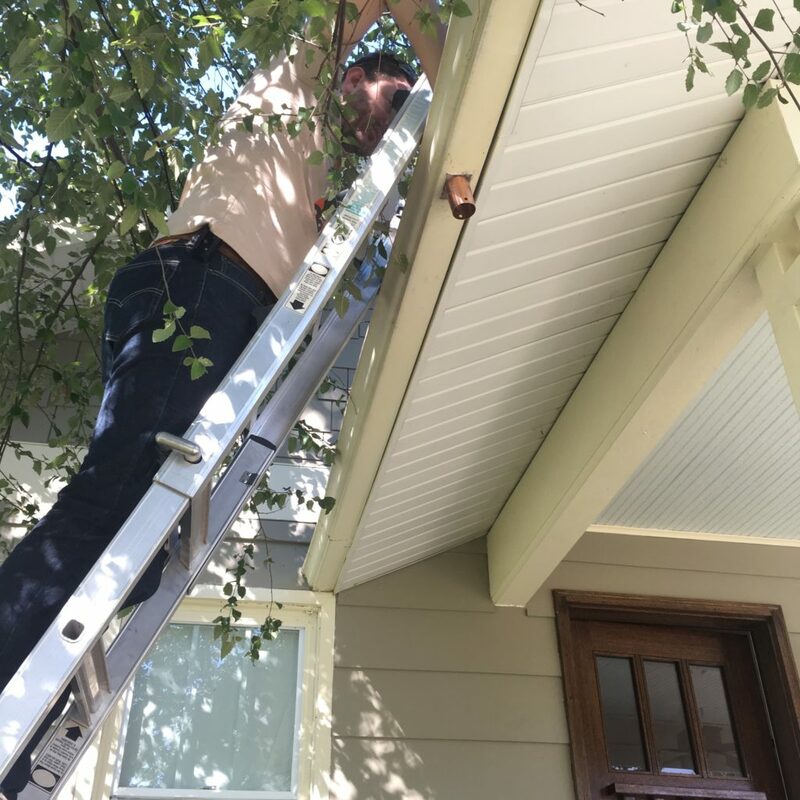 There was a slight offset between the gutter opening and the drain pipe so Jonathan had to cut a new opening in the gutter and seal the old one. (Replacing an entire gutter was not on our to-do list for this project.) A plumb line help us make sure we were siting the gutter attachment properly. Jonathan attached the chain to the drain’s screen to make sure the chain stayed in place even with heavy winds. I planted more herbs and sedum around it and by next spring, the look of the drain should be softened considerably. We’ll likely place some river rocks around the drain as well to keep dirt out of the pipe. The copper cups look so fantastic against the house colors and the foliage. 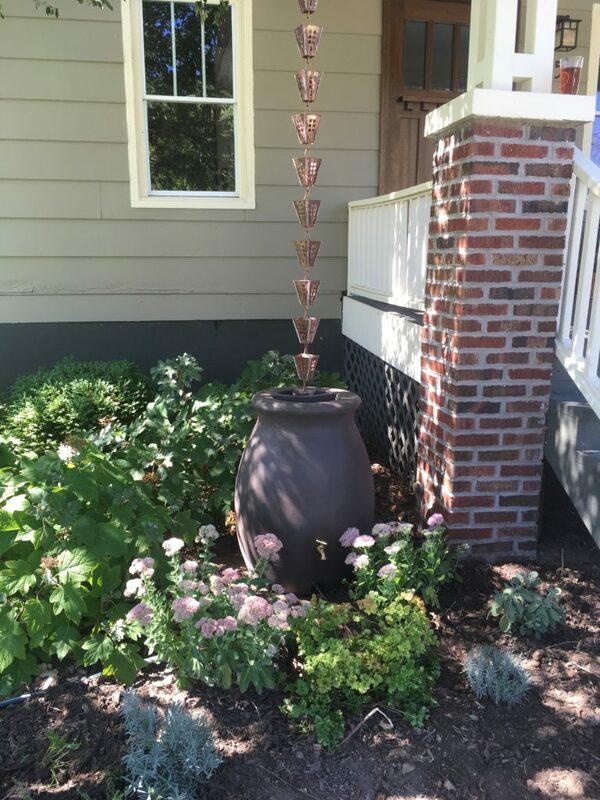 The copper will eventually oxidize so the rain chains won’t be this striking forever—but the shape and texture will still be distinctive. 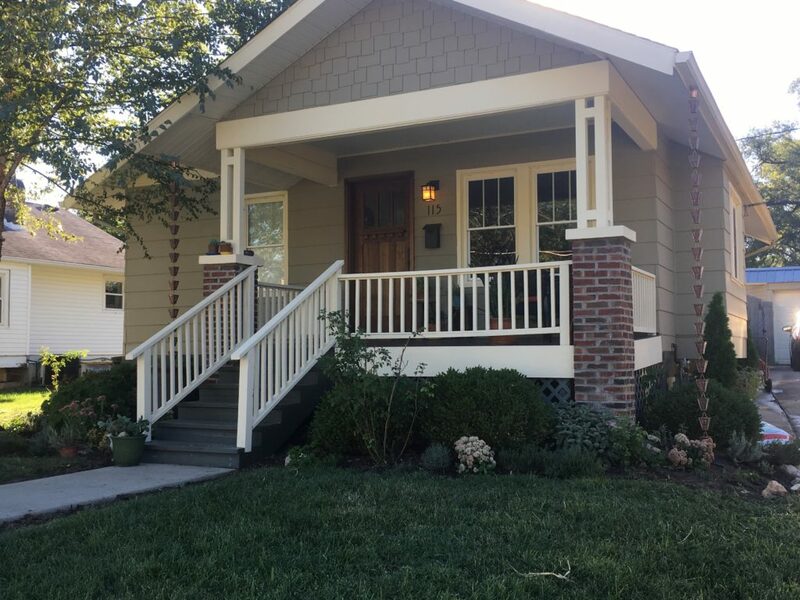 I hesitate to say it but I do think the porch upgrade–from the front door to the columns to the rain chains–is finally complete. Well, at least for now.